Pack the 11th (Sat) with family-friendly diversions at Hong Kong Disneyland. Spend the 13th (Mon) exploring the fascinating underwater world at Ocean Park. 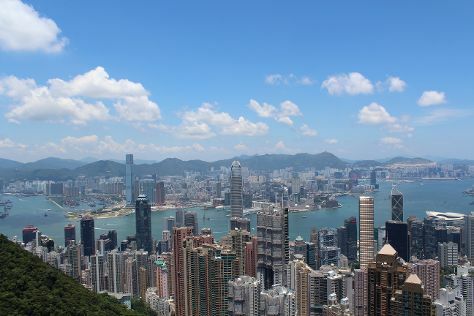 Next up on the itinerary: enjoy breathtaking views from Victoria Peak (The Peak), make a trip to Hong Kong Skyline, contemplate in the serene atmosphere at Man Mo Temple, and walk around Nan Lian Garden. To find where to stay, ratings, reviews, and more tourist information, go to the Hong Kong trip builder . Kuala Lumpur, Malaysia to Hong Kong is an approximately 7-hour flight. You can also do a combination of flight and ferry; or drive. While traveling from Kuala Lumpur, expect little chillier days and about the same nights in Hong Kong, ranging from highs of 36°C to lows of 29°C. Finish your sightseeing early on the 13th (Mon) so you can travel to Huangshan. Kick off your visit on the 14th (Tue): head outdoors with Mt. Huangshan (Yellow Mountain). To find where to stay, reviews, maps, and other tourist information, read Huangshan trip app . Traveling by combination of bus and flight from Hong Kong to Huangshan takes 4.5 hours. Alternatively, you can do a combination of train and flight; or drive. Finish your sightseeing early on the 14th (Tue) so you can travel to Shanghai. Shanghai is known for historic sites, shopping, parks, museums, and nightlife. Your plan includes some of its best attractions: appreciate the extensive heritage of The Bund (Wai Tan), shop like a local with Nanjing Lu (Nanjing Road), admire the landmark architecture of Jade Buddha Temple, and don't miss a visit to Jin Mao Tower. To see where to stay, other places to visit, maps, and other tourist information, read our Shanghai trip planner . Getting from Huangshan to Shanghai by flight takes about 3 hours. Other options: drive; or take a train. In May in Shanghai, expect temperatures between 30°C during the day and 20°C at night. Wrap up your sightseeing on the 17th (Fri) to allow time to travel to Luanping County. Start off your visit on the 18th (Sat): explore the ancient world of Jinshanling Great Wall. For ratings and other tourist information, you can read our Luanping County trip itinerary maker . Do a combination of flight and taxi from Shanghai to Luanping County in 6.5 hours. Alternatively, you can drive. Finish your sightseeing early on the 18th (Sat) so you can drive to Beijing. Beijing is known for historic sites, parks, museums, shopping, and nightlife. 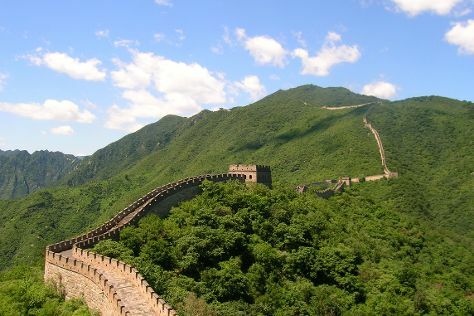 Your plan includes some of its best attractions: tour the pleasant surroundings at Mutianyu Great Wall, get the lay of the land with Walking tours, get engrossed in the history at The Palace Museum, and enjoy breathtaking views from Bell and Drum Towers. To see ratings, traveler tips, and tourist information, read our Beijing online day trip planner . Getting from Luanping County to Beijing by car takes about 2 hours. Other options: do a combination of taxi and train; or do a combination of taxi and bus. In May in Beijing, expect temperatures between 32°C during the day and 15°C at night. 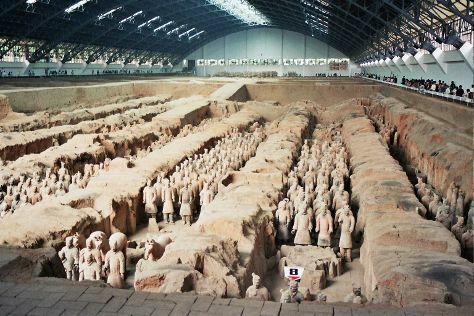 Finish up your sightseeing early on the 22nd (Wed) so you can travel to Xi'an. Kick off your visit on the 23rd (Thu): delve into the distant past at Xi'an City Wall (Chengqiang), then make a trip to Kaiyuan Square, then contemplate the long history of Big Wild Goose Pagoda (Dayanta), and finally get engrossed in the history at The Museum of Qin Terra-cotta Warriors and Horses. To see more things to do, maps, photos, and more tourist information, read our Xi'an sightseeing planner . Traveling by flight from Beijing to Xi'an takes 4.5 hours. Alternatively, you can take a train; or drive. May in Xi'an sees daily highs of 30°C and lows of 15°C at night. Wrap up your sightseeing on the 23rd (Thu) early enough to travel to Jiuzhaigou County. 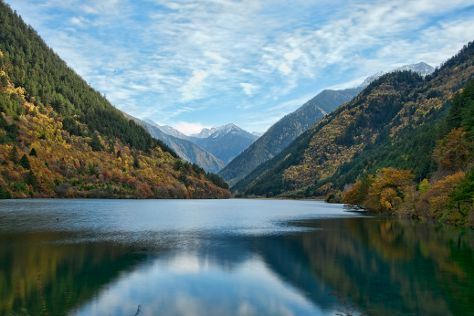 Nine villages make up Jiuzhaigou County, a valley with a wealth of natural sites protected by UNESCO. On the 24th (Fri), explore the wealth of natural beauty at Jiuzhaigou Natural Reserve. Plan a Jiuzhaigou County trip in moments using our itinerary builder. Do a combination of flight and bus from Xi'an to Jiuzhaigou County in 7 hours. Alternatively, you can do a combination of flight and car; or drive. Finish up your sightseeing early on the 24th (Fri) so you can travel to Lijiang. 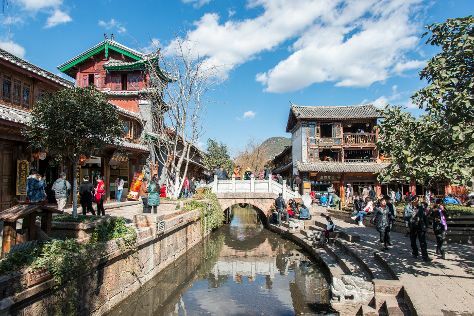 Start off your visit on the 25th (Sat): admire the local landmark of Black Dragon Pond Park and then make a trip to Old Town of Lijiang - China. To find traveler tips, photos, where to stay, and other tourist information, use the Lijiang holiday maker website . Do a combination of bus and flight from Jiuzhaigou County to Lijiang in 11 hours. Alternatively, you can drive; or do a combination of bus and train. Cap off your sightseeing on the 25th (Sat) early enough to travel back home.